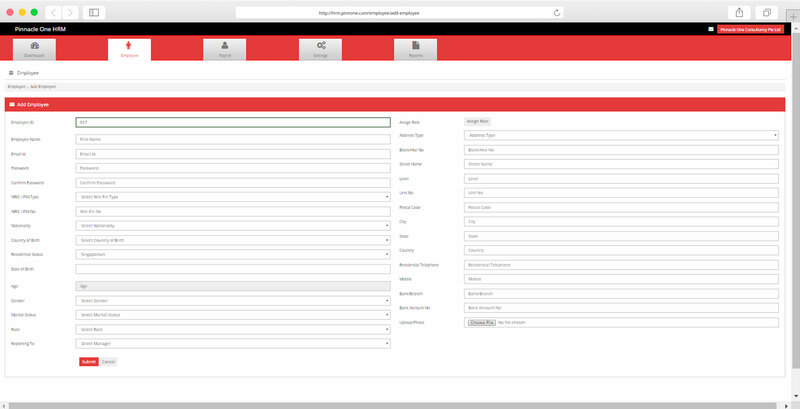 Manage, Track and Pay your employees using Pinnacle One HRM. Our experts have painstakingly crafted an easy to use solution that helps you save time and money. 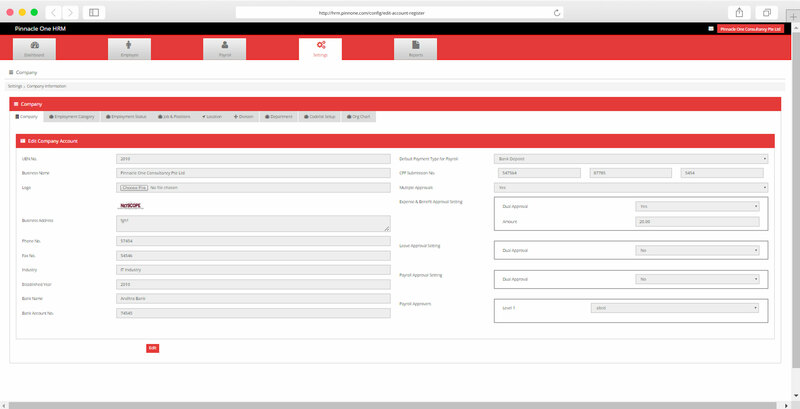 Process monthly payroll and generate monthly payslips for employees. Compliant with Singapore’s regulations. Comprehensive suite of reports, such as Leave, Payroll, Time and Attendance Reports. All these information at your fingertips. 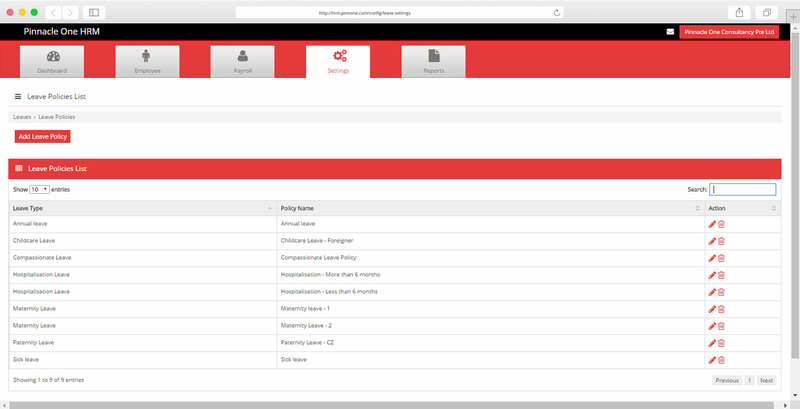 Employees are able to login to the system to check their payslips, log their time and attendance, apply for leave and submit expenses. Easily monitor and track your employees time & attendance. Supports clock in and clock out on any device via internet browser.